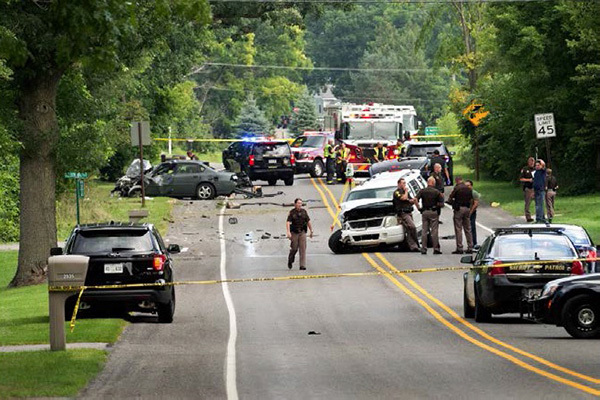 Tag Archive | "Edward Ray Lucas"
This was the scene after bank robber Edward Ray Lucas crashed his car into another vehicle after a bank robbery in Sand Lake on August 18, 2016. Acting U.S. Attorney Andrew Birge announced on Thursday, August 17, that U.S. District Judge Paul L. Maloney sentenced Lucas to 151 months in federal prison, and also ordered Lucas to serve three years of supervised release following his release from prison and pay a special assessment of $100. On August 18, 2016, Edward Lucas robbed the Independent Bank of Sand Lake, Michigan. Lucas handed a manila envelope to a teller with these words on it: “This is a Robbery. 100s, 50s, 20s. No die packs.” The teller gave Lucas $5,550, and he fled in a silver Chevy Impala. A detailed description of the suspect and his vehicle were given to dispatchers. 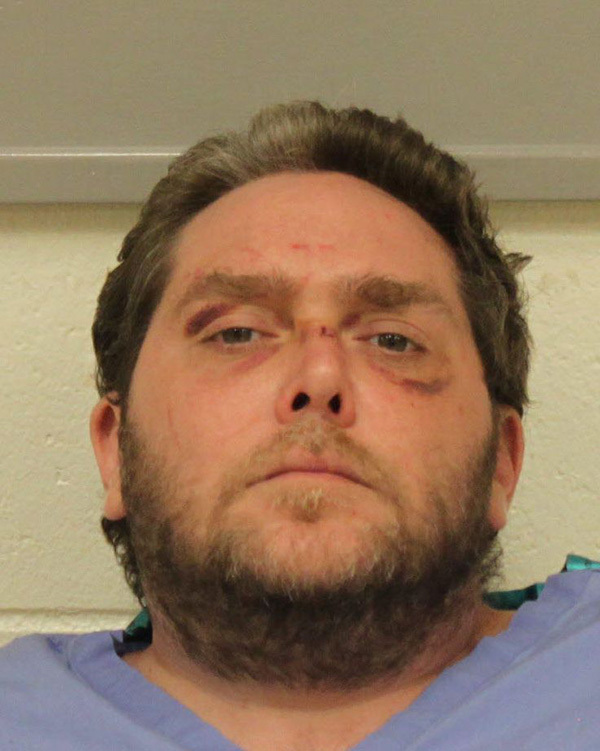 His description was relayed to all police units in the northern part of Kent County as well as to Montcalm County dispatch. Twenty minutes later, a vehicle that matched the description of the suspect’s vehicle was spotted on 17 Mile Road in Cedar Springs. A Kent County Sheriff deputy was able to see the driver, who also matched the description that had been broadcasted. The vehicle then ramped onto southbound US-131 as the deputy followed. Once a second deputy caught up to the first, they made a traffic stop, but the suspect then sped away, continuing south on US-131. Police said the vehicle reached speeds up to 90 mph before slowing down and exiting on Post Dr. The suspect vehicle turned onto Post Drive heading toward Belmont. As deputies approached the suspect’s vehicle, the engine compartment burst into flames. Deputies were able to pull the suspect from the vehicle and use an extinguisher to extinguish the fire. They also found the demand note and $5,550 in cash in the vehicle. A Michigan State Police Sergeant, who saw the crash, said that it looked like the suspect appeared to deliberately stray across the centerline to crash into the other vehicle. Judge Maloney noted that Lucas seriously risked the lives of others in fleeing from the robbery. Judge Maloney also noted Lucas had a high risk of returning to bank robbery someday, given that he had two prior bank robbery convictions in Michigan state courts. He was previously convicted of committing two bank robberies in 1999. The Kent County Sheriff’s Office, Michigan State Police, and Federal Bureau of Investigation jointly investigated Lucas’s case. Assistant U.S. Attorney Davin M. Reust prosecuted it.